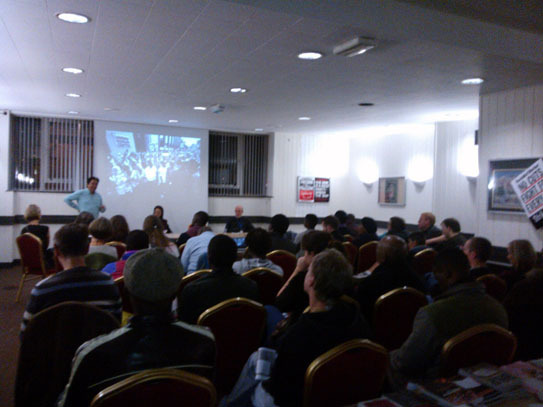 Leicester SWP’s public meeting on ‘Racism, Resistance and Revolution’ attracted over 40 people last Thursday, 7 November. There were some great contributions from City Of Sanctuary and the Enough Is Enough campaign, reflecting real anger at the disenfranchisement of young Black and Asian people in Leicester. Ken Olende, speaking, said that the fight against racism was part and parcel of a wider struggle against all oppression caused by the capitalist system which puts profit before everything else. 9 copies of the new ‘Say It Loud – Marxism and the Fight Against Racism‘ were sold on the night, and we look forward to the Enough Is Enough event on 16 November. We urge everyone in Leicester to follow their facebook page for updates here. 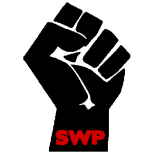 This entry was posted on Nov 10, 2013 by leicestersocialistworkersparty in Socialism, Uncategorized and tagged communism, left-wing, leicester, politics, socialism, socialist, socialists.